Apple’s patented media library widely known as iTunes is primarily designed for iOS device management and synchronizing various contents from an iPhone, iPad and iPod touch. Users who would prefer to use iTunes to sync contents like music files and videos on an iOS device including the new iPhone 7 can either do so over Wi-Fi or USB cable connection on a Windows or Mac computer. Syncing lets you share important information between devices and one way to backup contents from your mobile device to a computer or vice versa. You can sync your favorite movie from the computer and add it to your iPhone for easy mobile viewing. That is just one of the many benefits of syncing files between devices. When you sync your iOS device, iTunes will determine whether your iOS device or your computer has the most recent information and by then you can select the contents you want to sync. To avoid any problem particularly with system incompatibility when syncing files on your iPhone 7, be sure to use the latest version of iTunes and updated operating system on the computer. Either Windows or Mac computer will do for as long as it meets the minimum system requirements to run iTunes app. Which contents can be synced with iTunes? Apps – apps installed on your iPhone will sync automatically. If necessary, click on Install or Remove next to an app to manually install it on or delete it from your iPhone. Music – important audio files like your favorite songs or random music from your library can be synced by checking the option to “Automatically fill free space with songs.” Doing so will fill any remaining free storage space on your iPhone 7 with random music from your library. Other files – Movies, TV shows, podcasts, audiobooks, tones, contacts and calendars, iOS backups using iTunes, photos and videos. Note: You can use a supported photo app or sync from a specific folder on your computer to sync photos and videos through iTunes. Connect your iPhone 7 to the computer using the supplied USB cable for your iPhone. You can use either Mac or Windows PC. Double click the iTunes icon to launch the application. iTunes may launch automatically when you connect your iPhone. On the iTunes main screen, click on the iPhone icon located in the upper left corner of the iTunes window. Select the contents that you want to sync. To do so, click on a content category in the left pane of the screen and then check or uncheck Sync [content] on the upper-right corner. Click the Apply button located on the lower left side of the screen. Doing so will save your sync options. Click the Sync button to instigate the syncing process. Connect your iPhone 7 to a computer using the supplied USB cable. Click on the iPhone 7 icon that shows up in the left corner of the iTunes screen. Scroll to Options to view more syncing options. 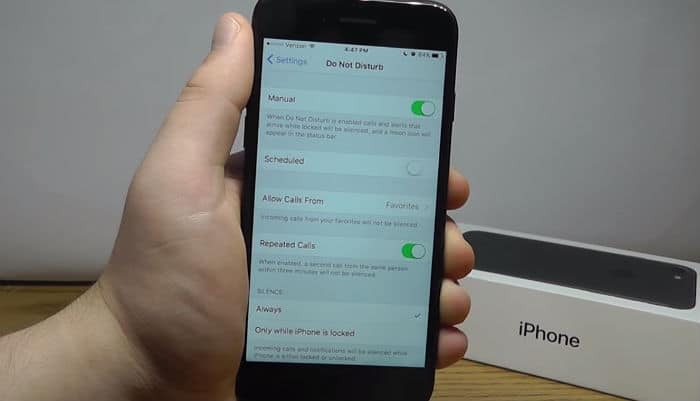 Mark the checkbox before Sync with this iPhone over Wi-Fi to select the option. Click the Apply button in the lower right side of the iTunes screen. Doing so will instigate the syncing process. Wait for your iPhone 7 to finish syncing to apply the recent changes you’ve made. On your iPhone 7, tap Settings on the home screen. Tap Wi-Fi to enable Wi-Fi, if necessary. Tap to select a Wi-Fi network to join or connect to. Make sure that your iPhone 7 and computer are connected to the same Wi-Fi network. Tap iTunes Wi-Fi sync.If prompted with more than one computer in the list, select the preferred computer to sync. Make sure that iTunes is open on the computer. Finally, tap Sync Now. Doing so will prompt your iPhone to wirelessly sync with your computer. How to turn off or disable syncing in iTunes? Connect your iPhone 7 to your computer using the supplied USB cable. Your iPhone will appear on the upper-left corner of the iTunes screen once it is recognized. Click on your device [iPhone 7] icon. Navigate to Settings on the left side of the iTunes screen. Click to select the content type that you want to turn off syncing. Navigate to iTunes main screen. Uncheck or remove the check from the box next to Sync. Doing so will remove all of that content type from your iPhone 7. Click Apply to save your sync settings. What to do if you cannot sync your iPhone 7 contents with iTunes? Not all the time that iTunes syncing works without any flaws. Below are a few you workarounds you can try on should you encounter any trouble when attempting to sync your iPhone 7 with iTunes. Try to turn off iCloud Music Library on both your iPhone 7 and the computer. To do so, head over to your iPhone Settings-> Music menu, and then tap iCloud Music Library to disable or turn off the feature. To turn off or disable iCloud Music Library on your computer (Mac), navigate to the menu bar. From the top of your screen, select iTunes-> Preferences and then select iCloud Music Library to turn it off. If you are using a Windows computer, navigate to the menu bar and at the top of the iTunes window, select Edit-> Preferences and then select iCloud Music library to disable the feature. If you are using iTunes Match, be sure to turn it off as well. Try to sync contents on your iPhone 7 with iTunes again. Reboot your computer and your iPhone 7. Verify and ensure that your computer and iPhone are connected on the same wireless network. Note that syncing does not work over an Ethernet to Wi-Fi connection. If you are using a firewall on your computer, check your firewall settings and make sure that the TCP ports 123 and 3689, and UDP ports 123 and 5353 are open. For further assistance in configuring your firewall settings, contact your computer or router manufacturer. Alternatively, you can refer to the given instructions for your firewall or security software. If you are prompted with an error message saying that “The iPhone cannot be synced. An unknown error occurred (-54),” read on to find out what to do. iTunes error -54 usually occurs if a file on the computer or your iPhone is locked. In most cases, you can sync after clicking the OK button in the message prompt. But if that won’t happen, follow these steps. Click the Start button on your computer. Right click the iTunes folder. Doing so will open a list of options. Scroll down and select Properties. On the Music Properties screen, head to the General tab and remove the check from the box beside Read Only (Only applies to files in folder). A pop-up screen will appear saying that the changes will be applied to all sub-folders. Click OK to confirm action. If the problem persists and you still cannot sync your iPhone 7 in iTunes, open iTunes on the computer, navigate to Properties-> Security-> and then click the Edit button. Under Permissions for System, check the Allow box next to Full control option and then click OK and Apply. Doing so will grant your iOS device full control over the iTunes folder. After applying these changes, try to sync your iPhone 7 with iTunes again. Use a different USB cable to connect your iPhone to the computer. This could be a potential solution should a faulty cable is to blame. Check and ensure that your Wi-Fi connection is strong and stable. Intermittent connection can also trigger iTunes errors to occur when syncing. Use other alternative tools to sync files from iTunes to iPhone. Just pick the best possible alternative syncing tools for your iPhone, which are obtainable through free downloads or purchase. After downloading the software to your computer, install it and follow the onscreen prompts to begin syncing contents on your iPhone 7 with iTunes. Or you may also refer to our troubleshooting page and follow the recommended solutions and workarounds to deal with various errors and issues with iTunes syncing problem on your iPhone 7 or other iOS devices.